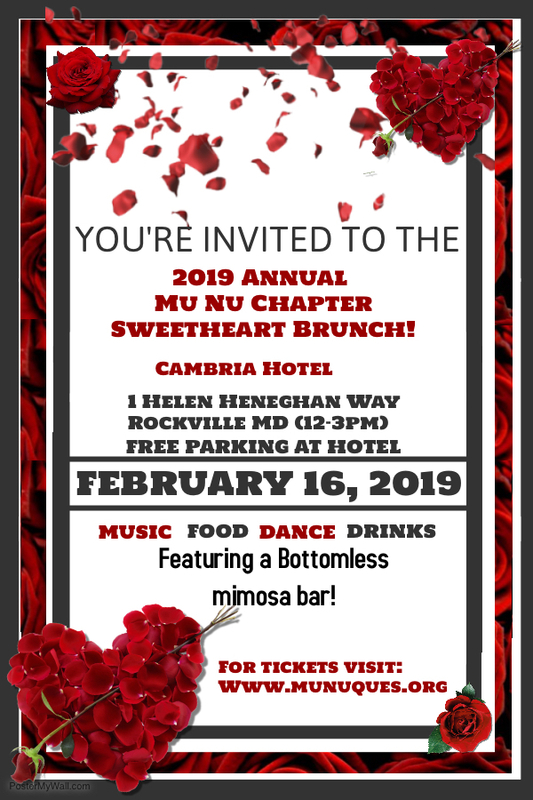 Sweetheart Brunch - Events - Mu Nu Chapter, Omega Psi Phi Fraternity, Inc. The Sweetheart Brunch will be held at the Cambria Hotel, Rockville MD from TBD on Saturday February 16, 2019. The cost for the event is $50.00 per person/$100 per couple (Processing fees of $2 on $50, $4 on $100).